It really doesn’t matter that you’re a beginner in terms of online marketing, as we are almost convinced that you have heard of pay-per-click advertising and the entire PPC marketing concept. One of the most popular marketing channels, pay-per-click is excellent for boosting your online traffic, but also generate several new leads. However, most people are still not familiar with it, but we believe that if we go a bit through some of its major advantages, we will convince some of them to give it at least a try. Therefore, without much further ado, let’s see why one should use PPC marketing for a business, whether it’s online or offline! 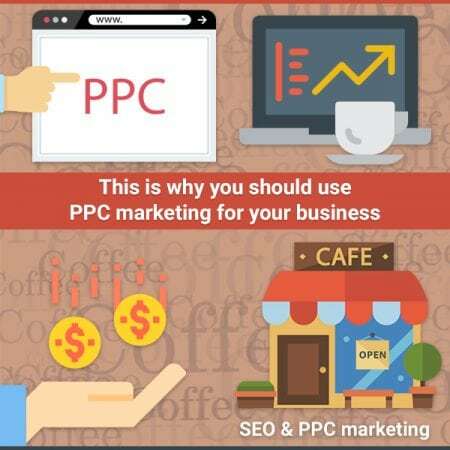 Most people who stay away from PPC are those who believe that the entire process is very difficult, but the truth is that they are absolutely wrong. Compared to other popular content marketing strategies, this one can actually be turned on with just a few clicks. To be more specific, content marketing, as an example, takes some time in order to generate results, but with PPC, your traffic and leads can skyrocket immediately, as long as the campaign is done properly. The biggest downside though is that your traffic may – attention, MAY – drop significantly after stopping doing it. In the past, marketers were using cost per impression models, which meant that they paid for every 1,000 impressions an ad received. Well, the beauty of PPC lies in the fact that you pay only when impressions turn into link clicks! This is definitely one great thing, as it helps you save a lot of budget. Also, instead of having to focus a lot on the ad copy, you can just tweak keyword targeting and the budget. Basically, it’s less money spent on audiences who just aren’t interested in what you’re trying to promote. Another major advantage of PPC marketing is that you can target the exact audience, thanks to the fine-tuning features you have. No matter what type of business you’re conducting, you will be able to tweak your strategy, in order to reach the right people, at the right time, in the right place. Let’s take one of the best examples that is: a coffee shop owner can set ads to appear in the morning when most people drink it and are most likely to look for a such a place. Even more, you can even target people close to the location itself, by setting a mile radius limit. It’s not a secret that search engine optimization is probably the core element of an online marketing strategy which has to attract traffic as its main purpose. Therefore, you may have an excellent website, but if it’s not ranking well in search engines, not a lot of people will come across it. This is where PPC marketing joins the party, as it gets through all your keyword data, observing how many people are seeing your ads displayed on specific keywords, helping you to figure out which keywords are the most popular and are worth optimizing the website around. Besides this, it helps you with the building of a long-tail keywords list, which you can use to optimize your on-page content even better! Still looking a bit complicated? In this case, you can let IB Systems handle all your PPC marketing! With almost 10 years of experience in helping local companies in the Tampa Bay area expanding their web presence, they will surely know to target the best ads for your business, attracting tons of web traffic!